The Toledo station is the most famous of the Naples Metro art stations. 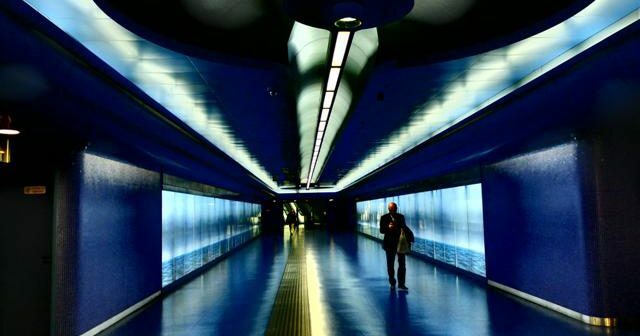 In addition to a lot of awards, the Daily Telegraph and CNN have elected it the most beautiful metro station in Europe. 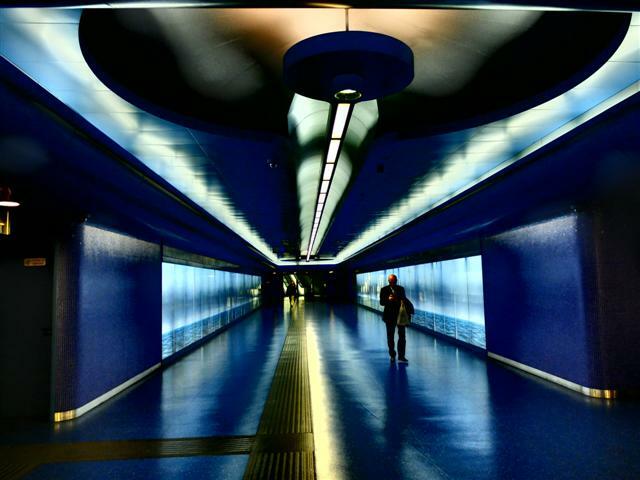 Don’t forget that BookingNaples offers a complete guide to the Naples Metro. Click here to read everything you need to know about line 1 and its art stations. The Toledo station was designed by the Spanish architect Oscar Tusquets. Among the artworks that you can see in this station, there are photographs of Achille Cevoli. The most famous is entitledMen at work and represents the construction of the underground tunnel. On the corridors of the Toledo station there are also photos of OlivieroToscani, another famous artist. During the excavations of the Toledo stop, archaeological elements such as traces of basements of buildings wanted by Don Pedro of Toledo, to whom the road is entitled, has been found. They are findings dating back to the Aragonese era (15th century). The Toledo station is famous for the huge cone that from the street level continues to the underground where you can take the line 1 metro. It is a tunnel covered with small tiles that make up a mosaic that recalls the sea. From Toledo station you can walk along the big street named via Toledo, with so many shops. Near Toledo street there are the famous Spanish quarters, characterized by a lot of condos. Moreover, it is possible to go through Toledo straight to Piazza Plebiscito, one of the symbols and landmarks of Naples. Near Piazza Plebiscito are the Royal Palace, the San Carlo Theatre, the Umberto I Gallery – a large structure in glass and steel – and Piazza Municipio, where you can find another Naples metro station. From the Toledo and Municipio stops it is possible to go to the port, from which you can reach the islands of the gulf or visit two castles of Naples: the MaschioAngioino and Castel dell’Ovo. Toledo is in the heart of the city. Therefore, you can choose to walk towards the historic centre, go to the seafront or take the funicular to reach the highest part of the city.